With the remaining mesh pieces now powder coated I can finish things up. Tonight I secured the intake duct mesh pieces. I used some hose clamps to secure the ‘tabs’ on the mesh pieces to the duct funnels. Tonight I finished attaching the diffuser to the frame. I slid the jack in under the diffuser and jacked the bottom of the diffuser up against the frame so I could drill a few holes and rivet it into place. The diffuser I have was quite a bit off in its design so the bottom of the diffuser does not sit flush to the frame. Not a big deal though, as I used the jack to push the end of it against the frame and sunk a handful of heavy duty 3/4″ long rivets into it to hold it into place. I pulled on it pretty hard to ensure it would hold up. 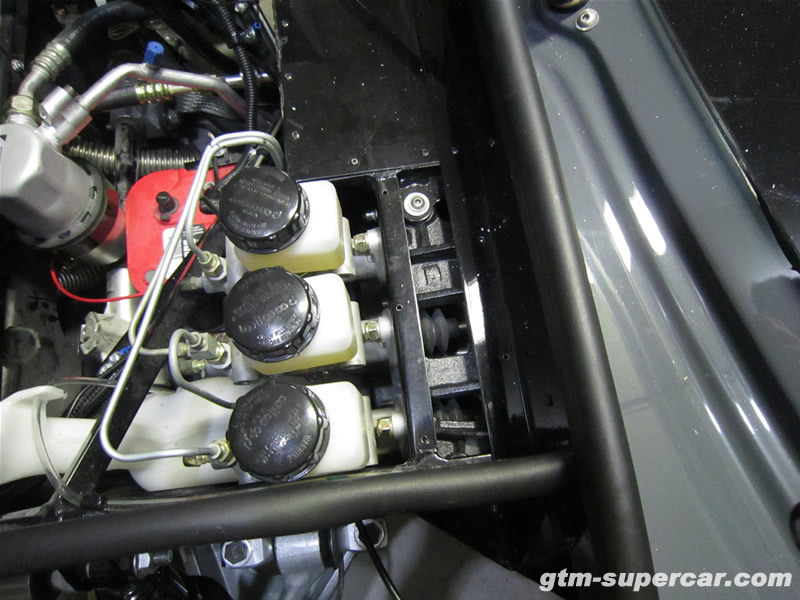 With the diffuser in place I installed the pedal box cover. This piece is not mentioned in the manual at all – it was just buried in within the aluminum parts. I don’t believe it was labeled in the parts list, either. This piece is meant to prevent water/air from getting into the driver footbox, but rather than silicone it in place I placed some double-sided tape under the panel edges to ’seal’ it in case I ever need to remove it in the future. Spent the day working on trying to get the car to start and idle. Success! I can now start in neutral or in gear and idle all day long. Throttle recovery is better in gear than in neutral, so the car is now drivable it seems. Really hard throttle fluctuations have to be controlled on descent with some throttle blips to prevent stalling. 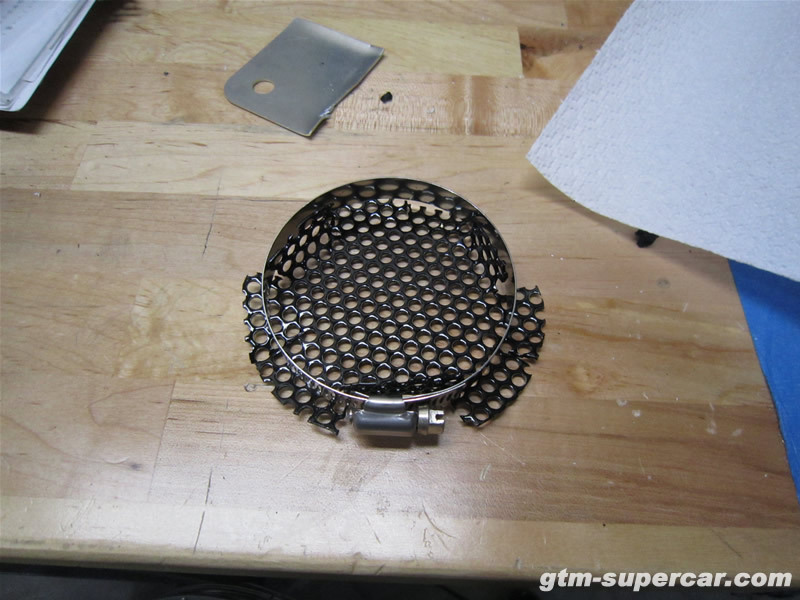 That will get tuned out with time as I learn more about the throttle follower/cracker tables. I am awaiting a new rivnut mandrel to mount the exhaust mount Josh made. Once that is here the exhaust will be mounted and I will refocus on tuning. I am confident that adding the rest of the exhaust will help the engine run much smoother as well. 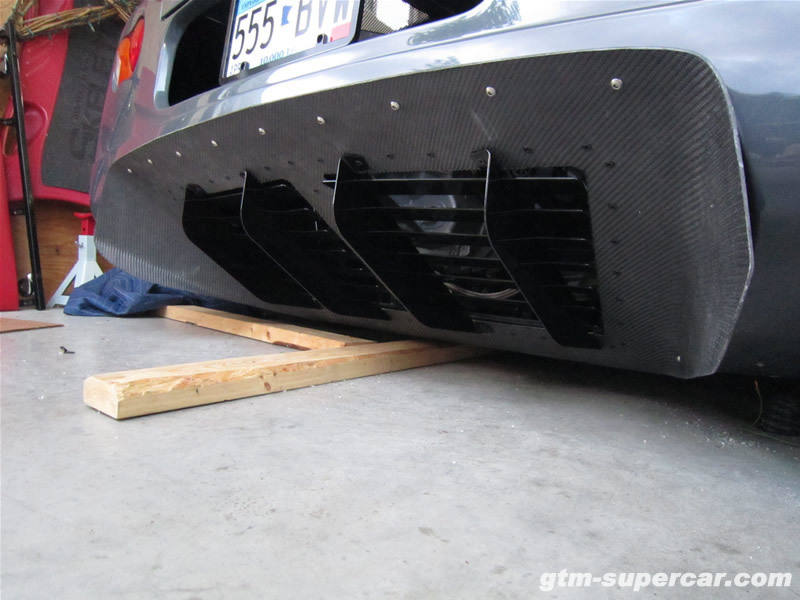 I finally received the 3/16″ black rivets I needed to mount the louvers onto the diffuser this week. 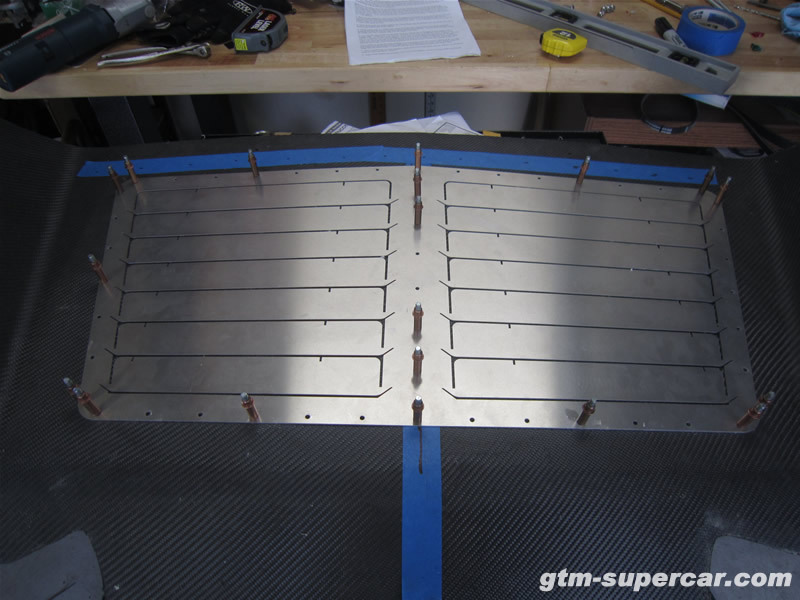 Mounting the louver assembly is a straight-forward task. 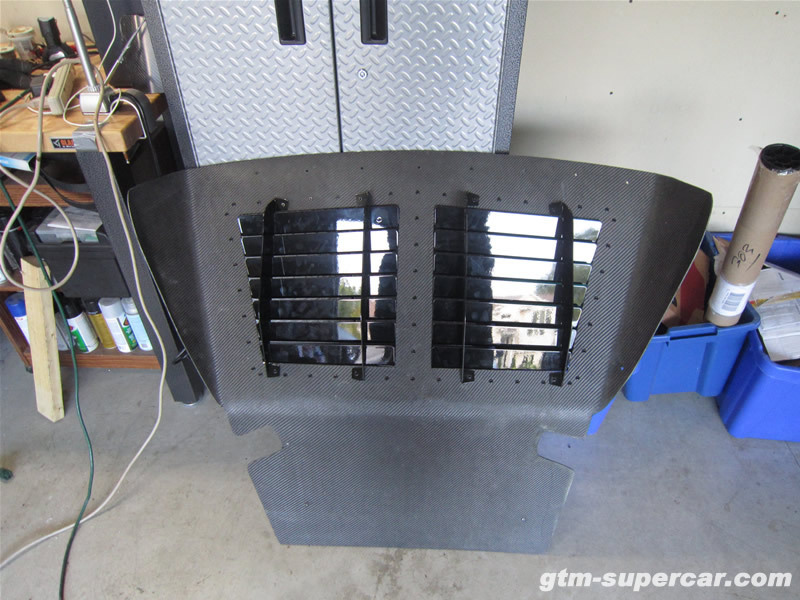 With the louvers in place I hammered (with a rubber mallet) the strakes onto the louvers and got them into place. 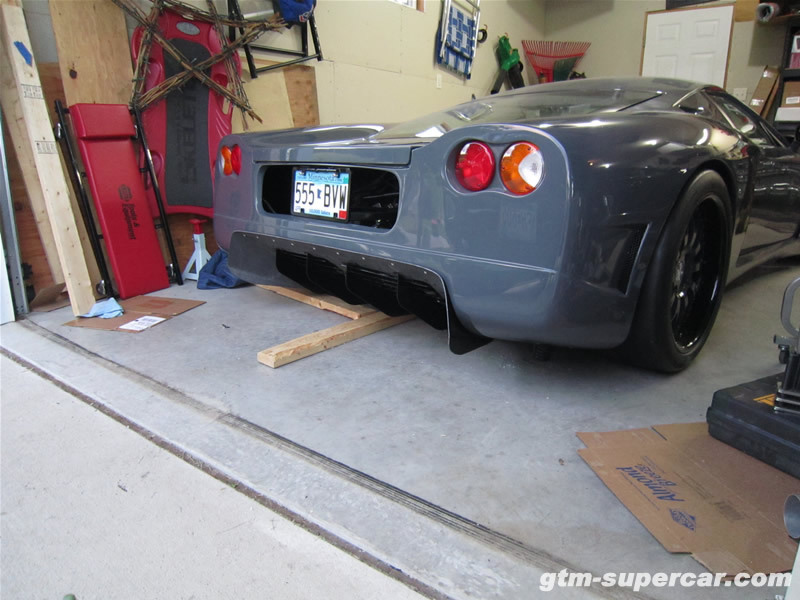 With the strakes drilled and riveted I was ready to mount the diffuser on the car. 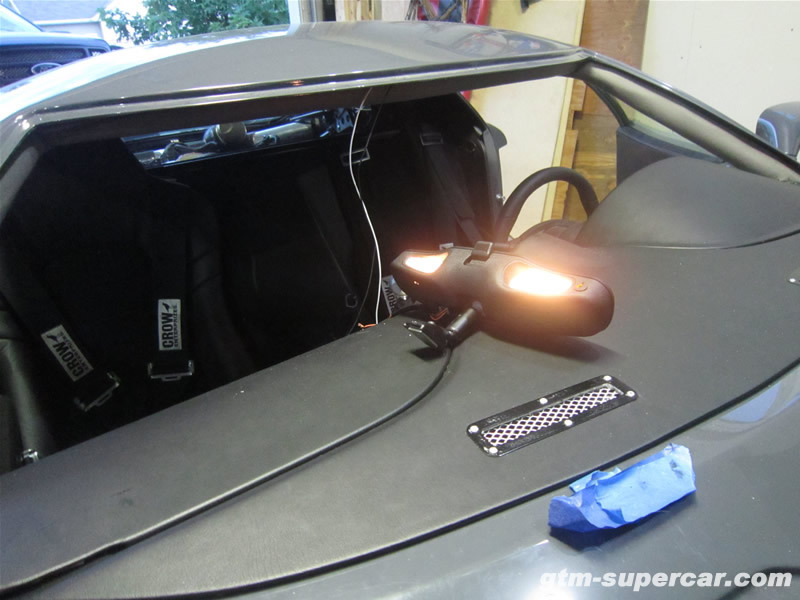 Since I had previously prepped the body for the diffuser install it didn’t take long to bolt it up. 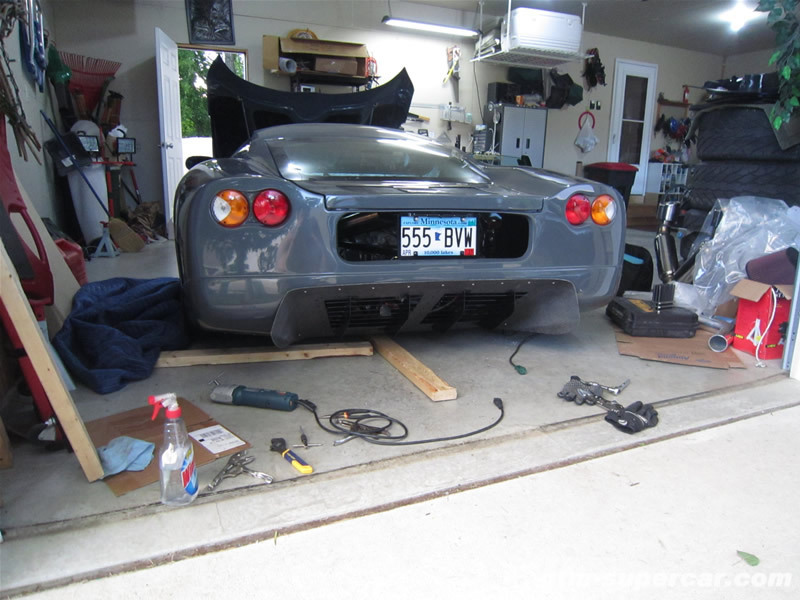 The only thing I have to do yet is jack up the car and rivet the underside of the diffuser to the frame of the car. That will not take long at all. The diffuser really completes the back end of the car and shows you how low the vehicle really sits. In other news, I am still working on the tuning side of things. I know I could pay a pro and have it done today, but I’m trying to learn how the computer works and if I can get it close on my own I will be happy! A week ago the car would not start with the 96mm tb, and it would not idle with it. I could only run it with my foot on the throttle (then it would die). Now I can start it and it will idle for 5-10 seconds before dying, and I can start it and coax it to idle indefinitely by bringing the RPMs down to idle manually then letting off. Rapid throttle fluctuations are the target of my tuning focus right now, as a hard rev in neutral (ie: 4000rpm+) will cause the car to stall when the RPMs try to come down to idle (overshoots the idle and dies). - making progress on getting the motor running properly: installed a Nick Williams 96mm tb, and am currently working on tuning it with HP Tuners. Motor runs if I stay on the throttle at 1000rpm or higher, but it dies if I let off. 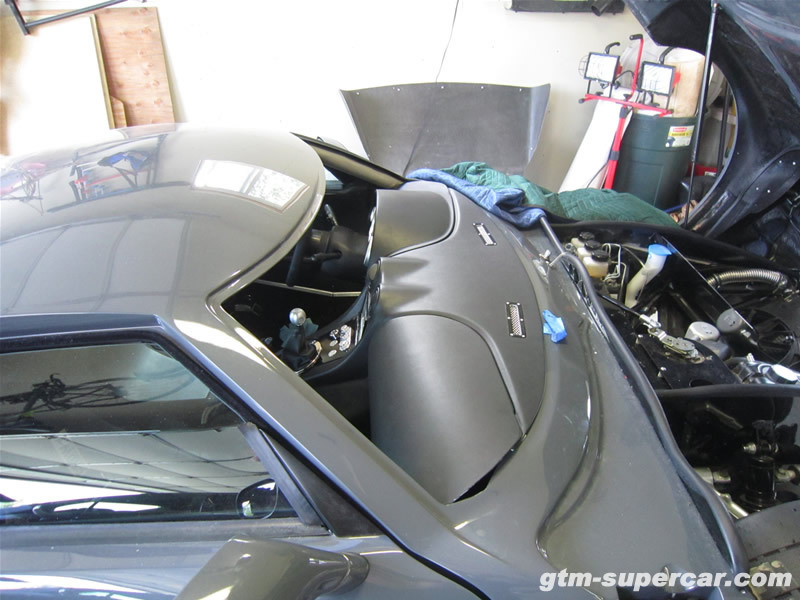 At this point the interior is complete, and all that remains is buttoning up the exhaust and intake, creating a heat barrier between the two, installing the exhaust and intake mesh, and installing the louvers and diffuser. I also need to get the motor to idle, too. 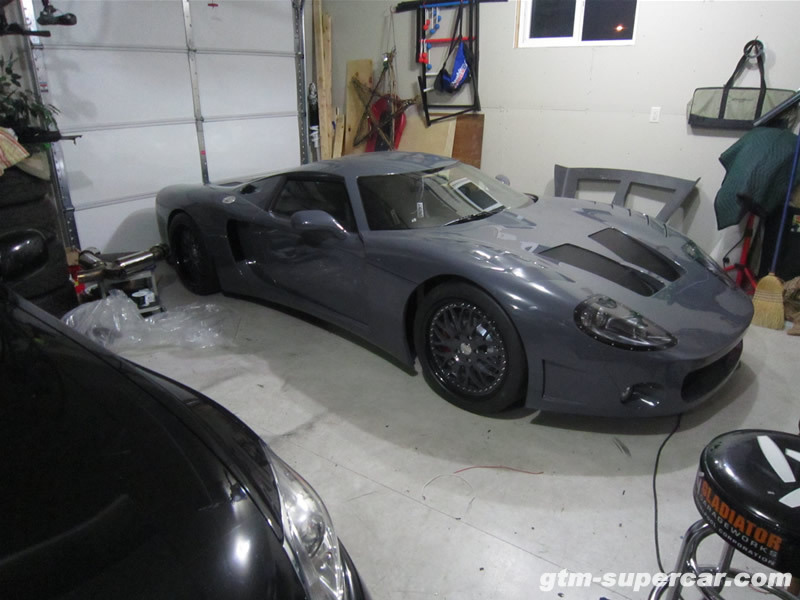 The GTM actually looks like a complete car! Had the glass guy come by and install the windshield and rear view mirror. Looks great! I just have to wire up the mirror and the interior will be complete. Afterwards I mounted the wiper blade and tested that out and got it to park where I wanted. What an absolute nightmare! If anything could go wrong, it did while trying to get this seat installed. 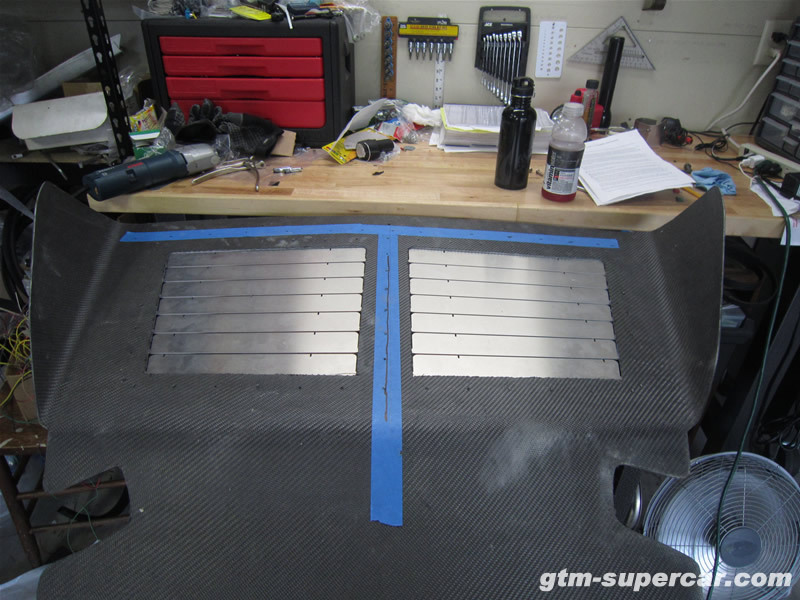 As planned, I installed the FFR seat tracks to the seat using David Borden’s seat track mounts, as they are supposed to allow for the installation of the tracks without lifting the seat off the floor at all. 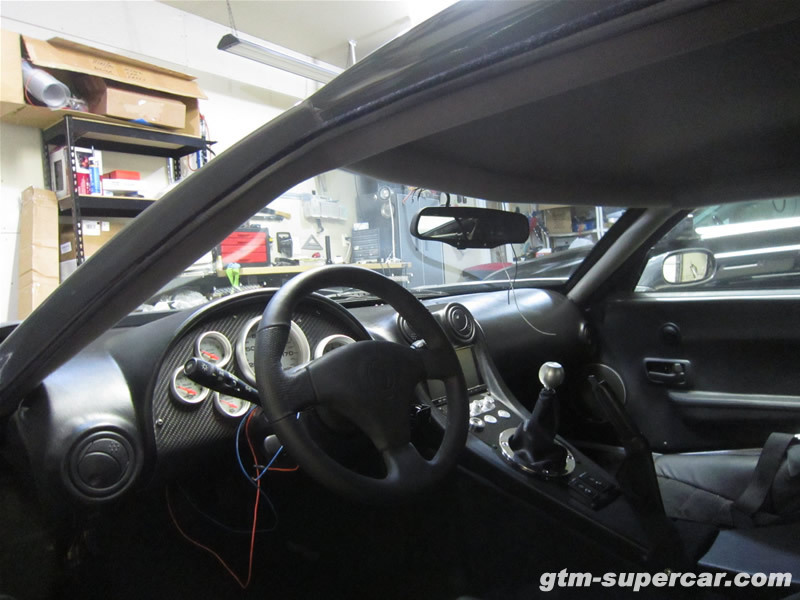 However, once I got the tracks on and mounts installed, I set the seat in the car and realized there was no way for the lever to function to adjust the seat position (push down to release the track). I lifted the seats as high as they can go on the track mounts (David made them slotted out), and was able to get enough clearance, but this lifted the seat around 1.5″ and I didn’t like that. THEN while trying to adjust the seat the lever broke off the seat track. Quality welding by the manufacturer! At this point I threw my hands up and took the tracks and mounts off and threw them to the side. I returned the next day to simply bolt the seat to the floor like I did with the passenger seat. Should have been easy enough since I already did it once before. Wrong. I don’t know what was up with with the fiberglass on the driver seat, but I had 4 rivnuts COME OUT of the seat while bolting it down. Once the rivnut slipped out the hole was way too large to place another rivnut. Long story short, I drilled at least 8 holes into the seat and floor of the car while crossing my fingers that the rivnuts would hold. Hours later, the seat was installed and harnesses clipped in. Excess holes were siliconed over. 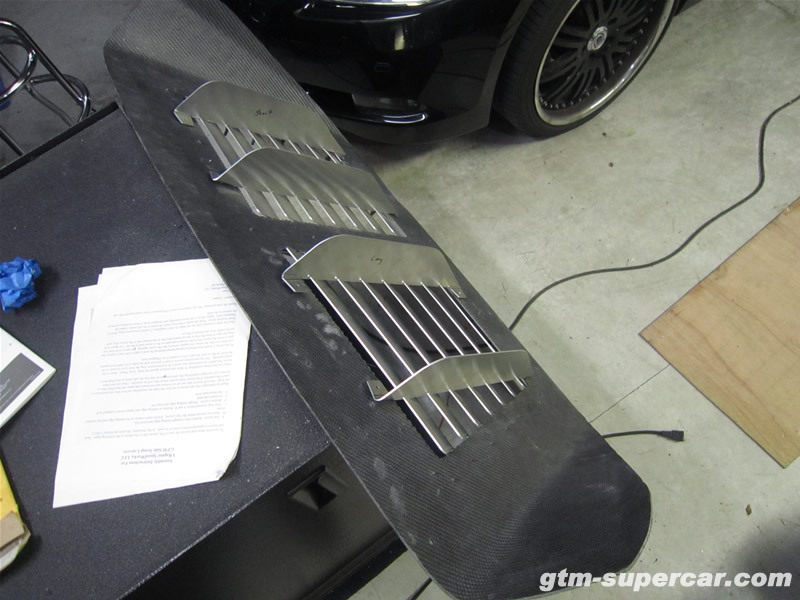 Today I prepared the diffuser for the installation of the louvers. 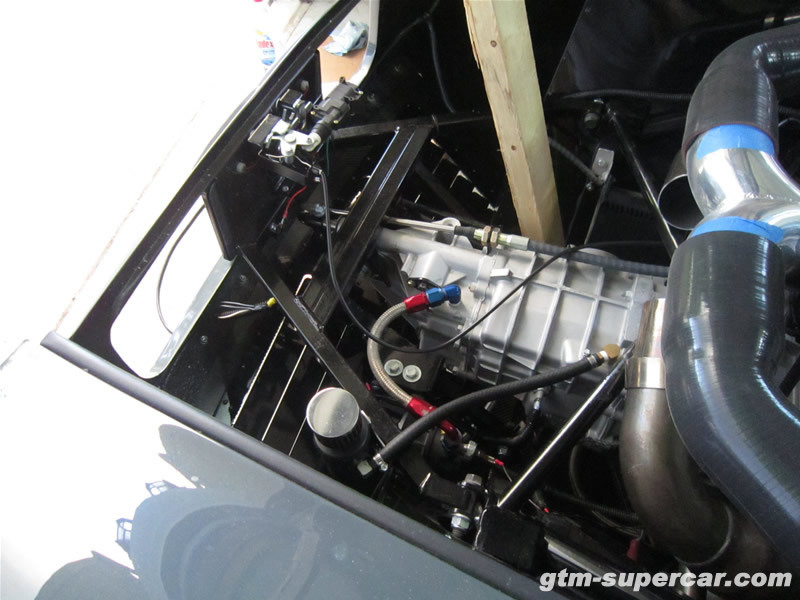 The louvers will greatly increase airflow through the engine bay, keeping the engine quite a bit cooler. 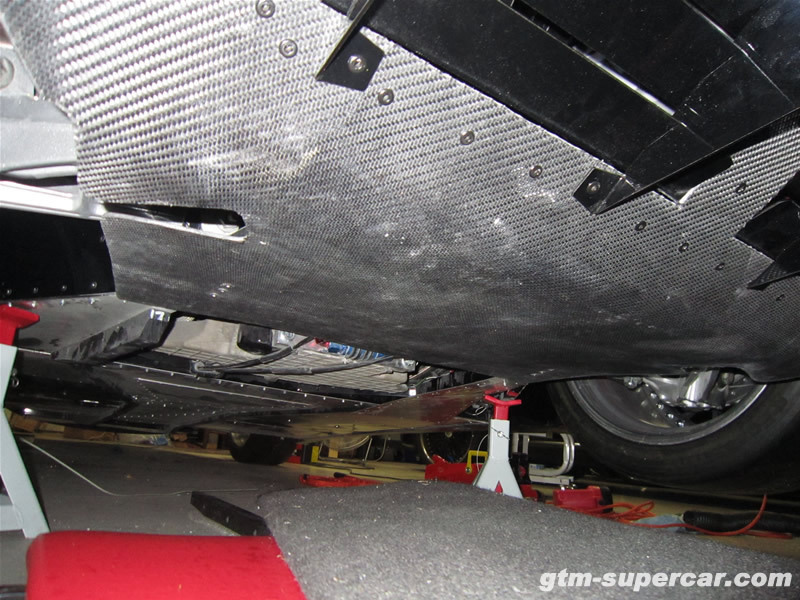 To get the diffuser ready I first had to mount the diffuser on the car, find its center, and mark the inside of the diffuser for the body edge so that the louvers do not overlap the body where the diffuser mounts to. 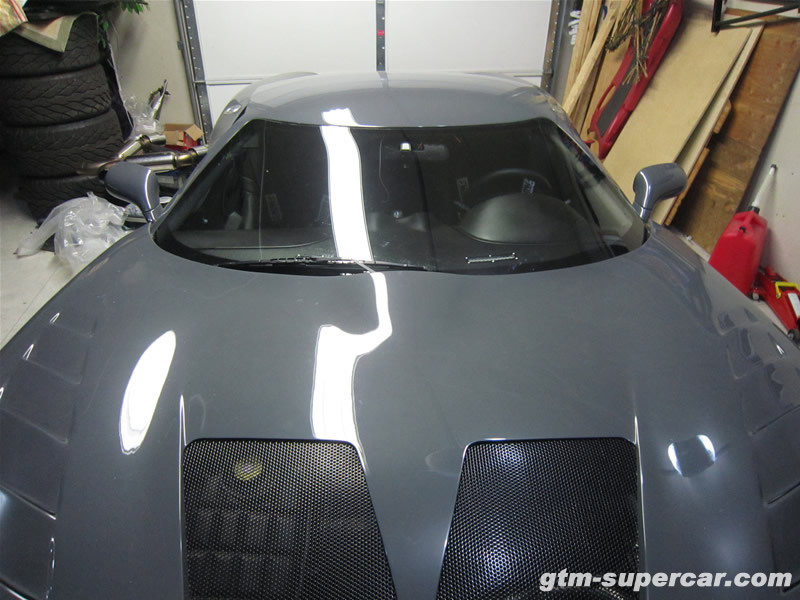 Once that was done I removed the diffuser and set the louver assembly in place. Once I had it where I wanted I drilled out all of the rivet holes, cleckoing it as I went. 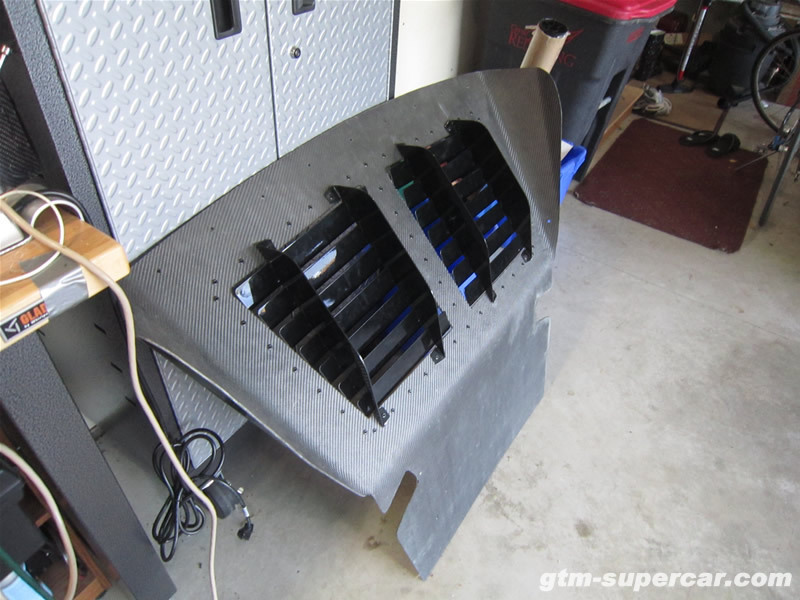 Holes drilled, the louver assembly was removed and the diffuser was flipped over and the louvers were re-clecko’d on the interior side of the diffuser. 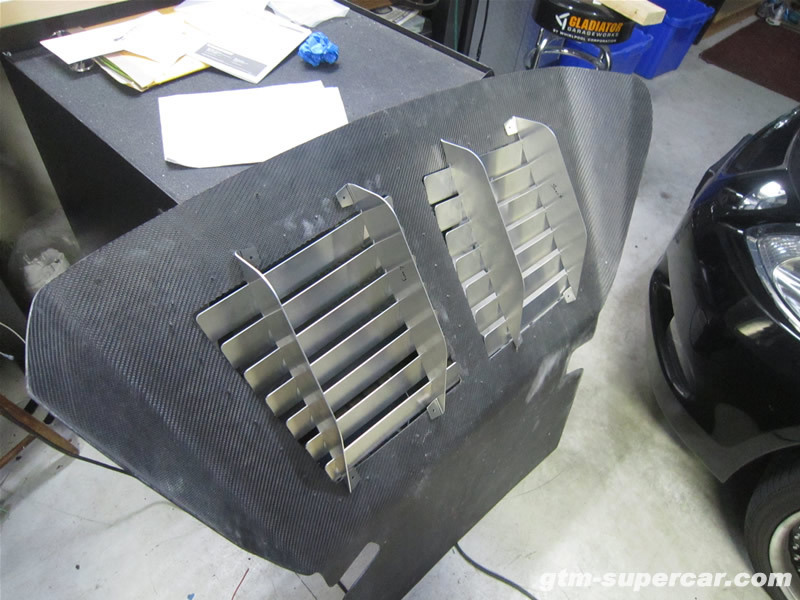 I then etched the inboard perimeter of each louver onto the surface of the diffuser to prepare it for cutting. With the perimeter scribed, I cut out the louver holes while leaving the scribe marks intact. 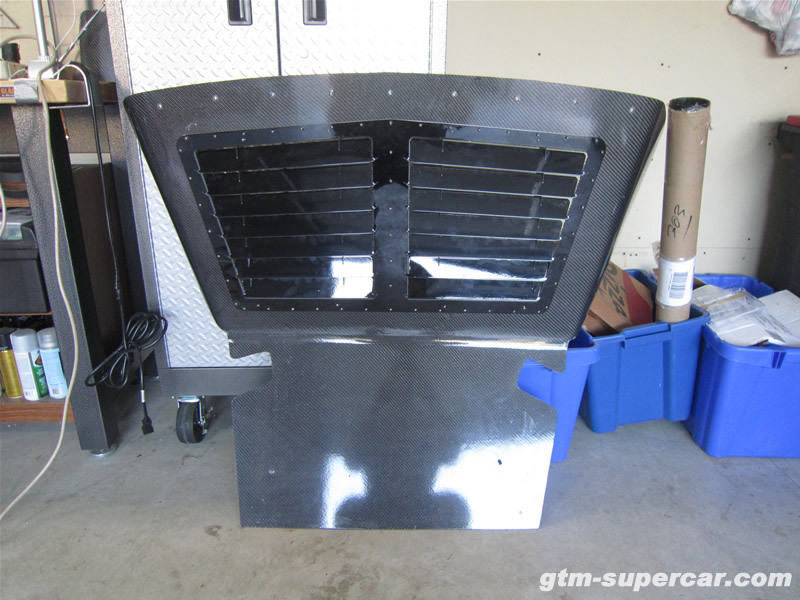 This allows for the installation of the louvers on the interior side of the diffuser while keeping the aluminum edges hidden by the diffuser. 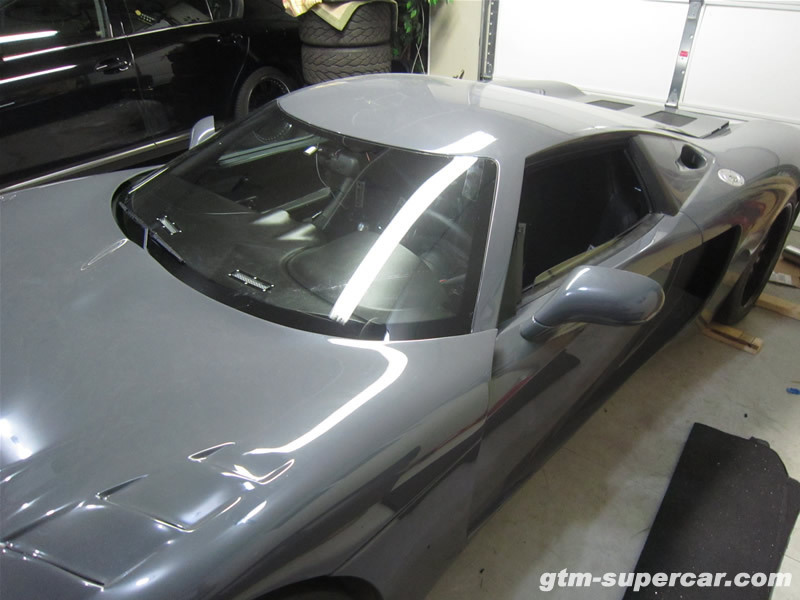 Once the diffuser was cut I clecko’d the louvers in place and bent the fins up to match the angle on the strakes. 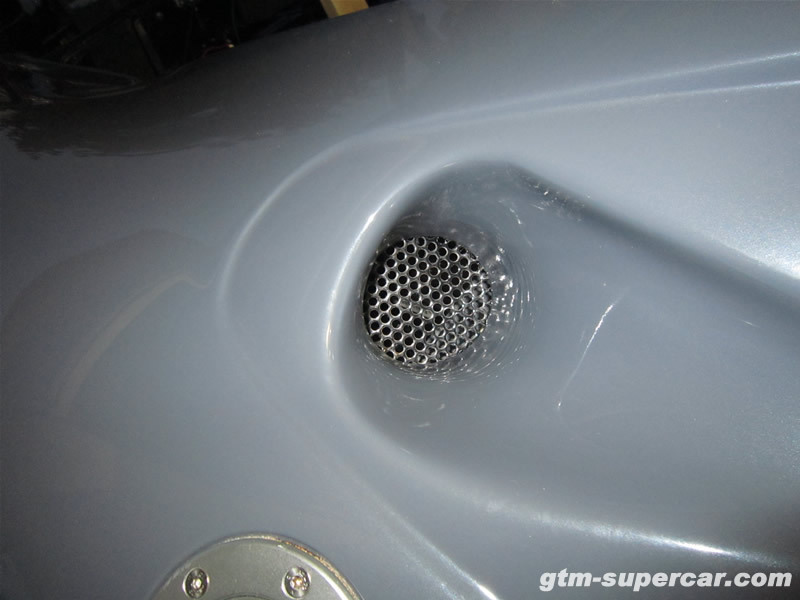 The strake ‘ears’ had to be bent to sit flush on the diffuser. At this point I need to pull the louvers off again and take them for powder coating. 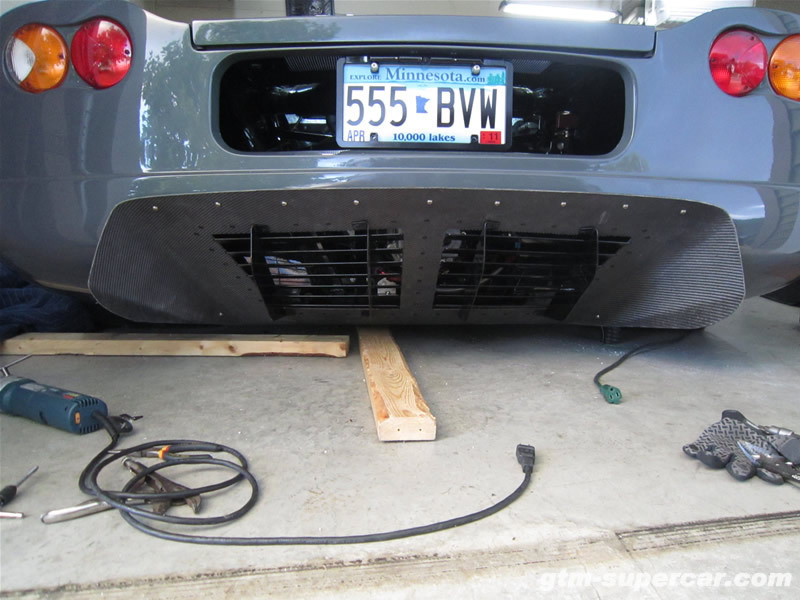 Afterwards, I will be able to rivet them in place and mount the diffuser. Instead of using the FFR provided rear-view mirror I decided to use the Corvette rear-view since it has driver and passenger map lights built in. 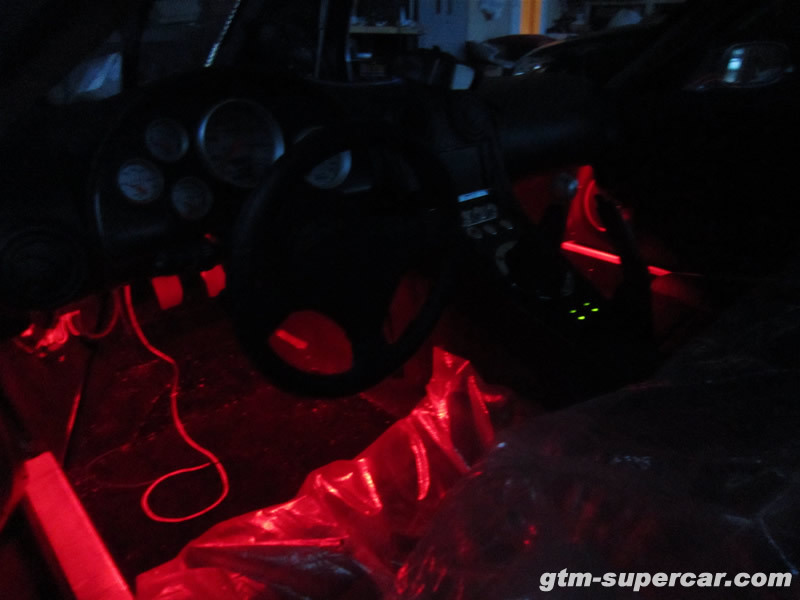 To utilize this lighting, I had to run a ground wire, and the white ‘dome light’ wire from the Painless fusebox up to the center of the windshield where the mirror will be. 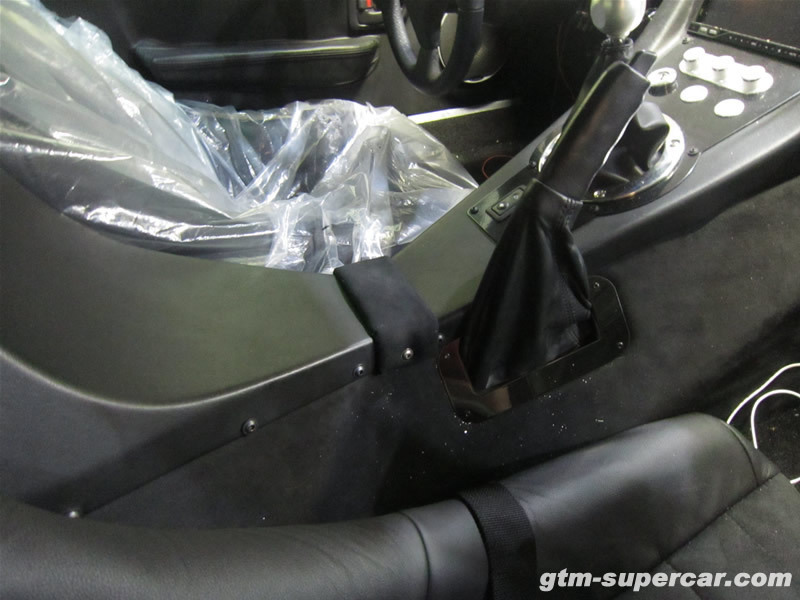 Not an easy task with the roll-bar padding/fabric in place! I ended up snaking a coat hanger down the pillar under the fabric with a hook bent on the end. 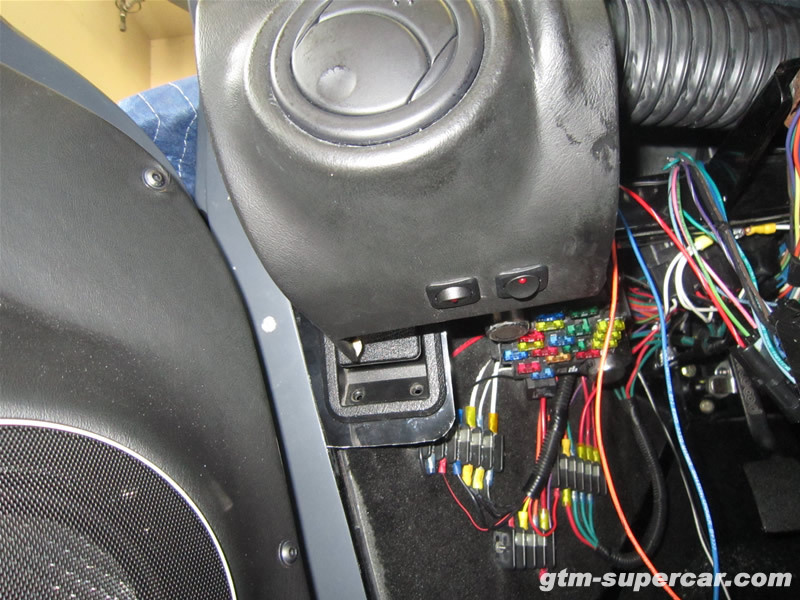 Once I got it down behind the dash I was able to hook the mirror wires and pull them up the pillar. I then pushed the wires on top of the front halo bar (sandwiched between the roof and halo bar) and ran them to the center of the windshield. Tested the mirror wiring to ensure it will work – good. 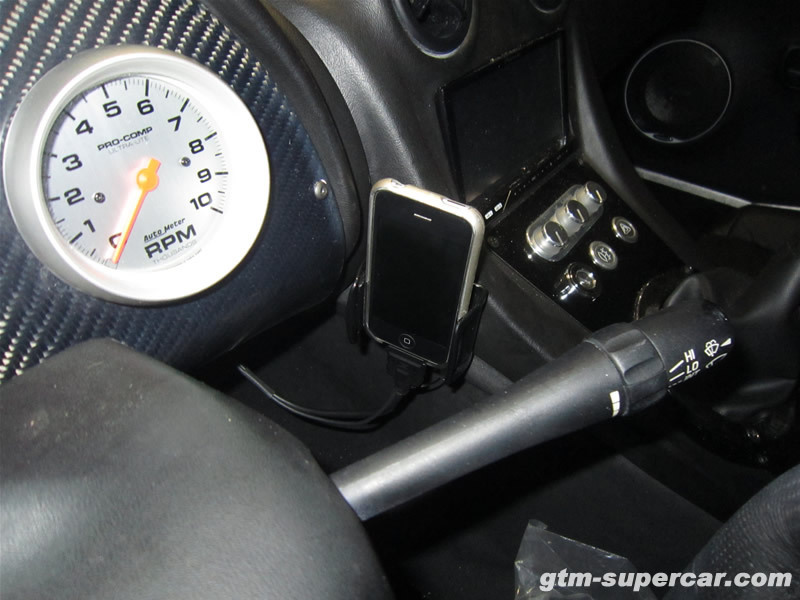 Since my radio has a really great iPhone interface, I mounted a nice iPhone holster on the driver side for easy access. This holster is actually designed to mount on vents, but I just unscrewed and removed the mounting mechanism it uses and affixed it to the tunnel vinyl with heavy-duty double-sided tape. Perfect setup. 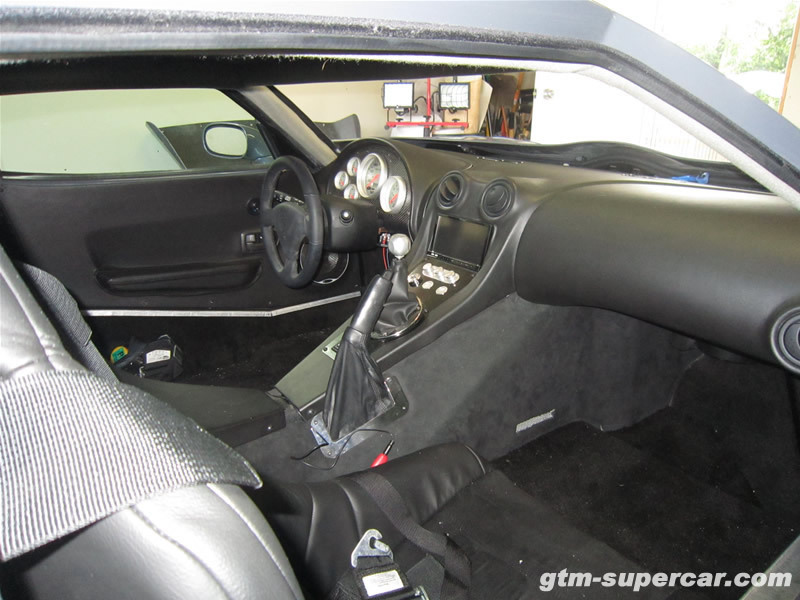 Lastly, for some reason FFR leaves a nice ugly gap between the engine cover and dash console. They don’t tell you to cover it, nor do they supply a piece to cover this gap. To fix this a cover has to be made. I cut a piece of cardboard and bent it to fit over the console and engine cover edges to get a basic measurement of the aluminum piece I would need. I have a handful of aluminum scrap left over from the build so I cut a piece to match the cardboard and bent it to match the tunnel sides. 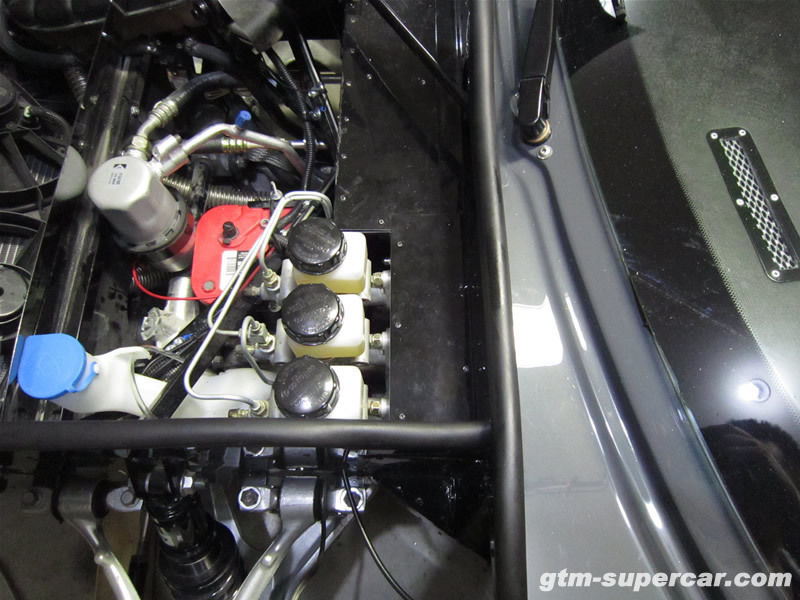 1/4″ holes were drilled on each side, and then the tunnel frame holes were drilled out and rivnuts were installed. I trimmed the aluminum piece a bit more, then covered the top with some 1/4″ Dynamat for padding. Left over suede from the build was used to cover it. Bolted back in place, the cover actually makes for a nice elbow rest since it’s padded fairly well. Not bad. 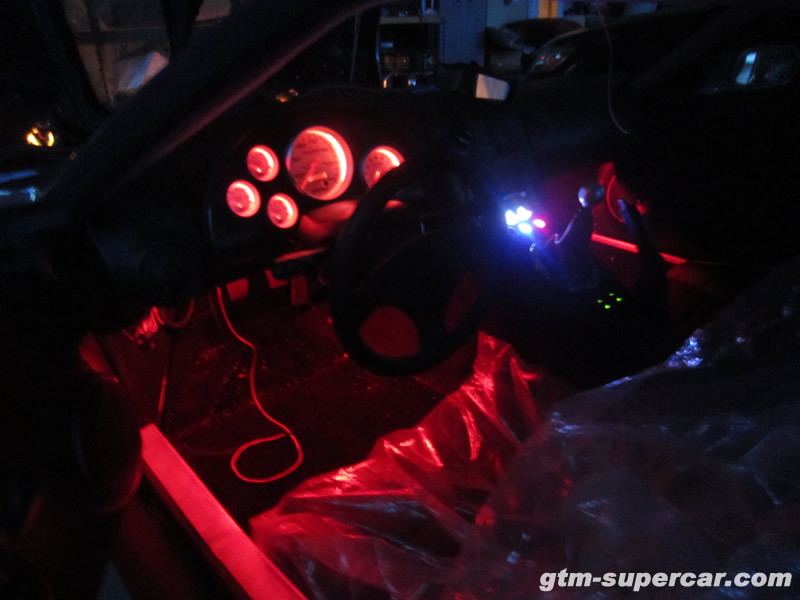 Finally, the interior is nearly complete. 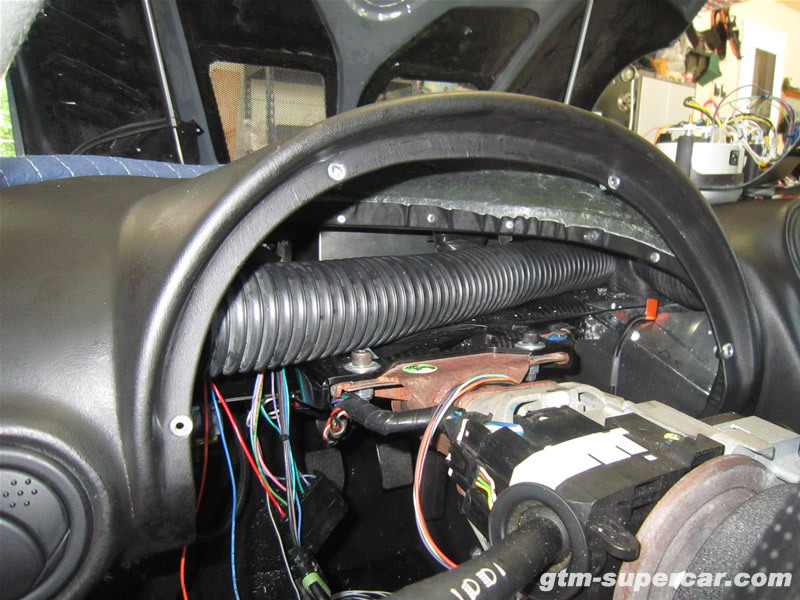 With the driver dash pod re-glued and ready for install I cleaned up some wiring that will be under the dash, wired the transmission oil cooler LED indicator, then installed the pod. Before riveting in place I attached the air duct and dash switches for camera and lights. 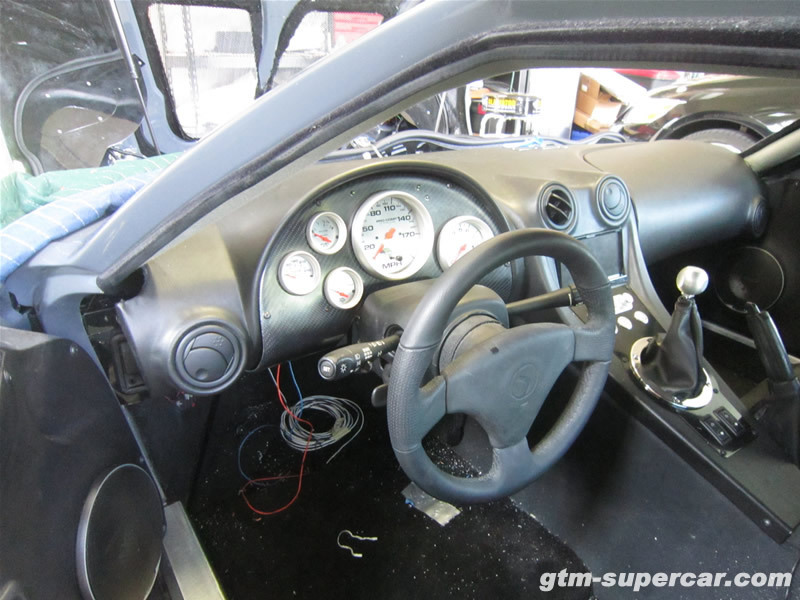 Dash pod was then riveted into place, and then the gauge face was plugged in and screwed down. 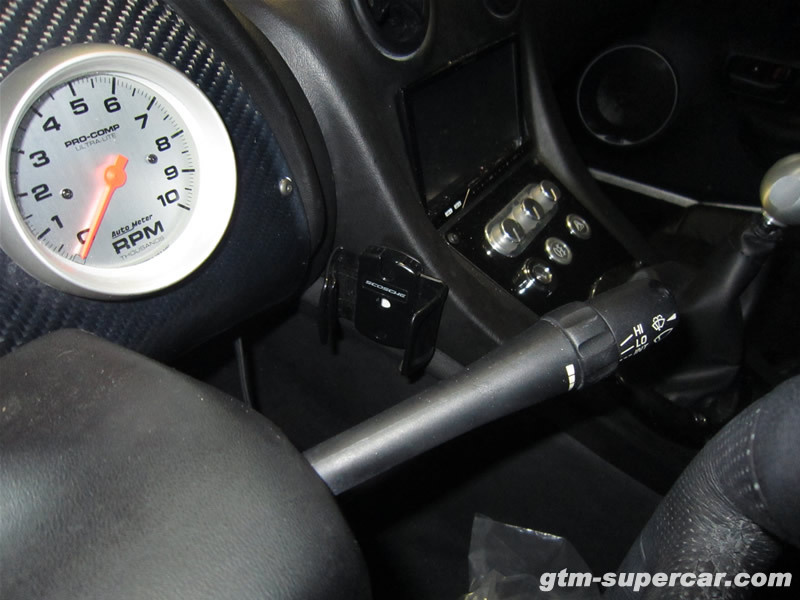 I then threw on the steering column cover and screwed that in place. 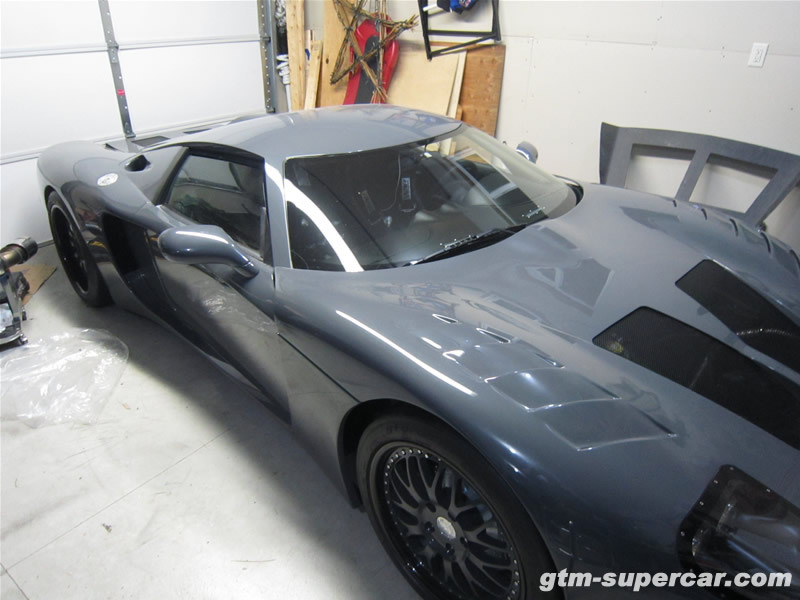 You are currently browsing the The GTM Supercar Build Log blog archives for July, 2010.